Join us for a special event, Sunday, May 3. We will gather for worship and to support five youth from MLLC who are affirming their Baptism in the Rite of Confirmation. You are invited to worship with us on this very special Sunday. Sunday School will be at 9:00 a.m.
Worship will be at 10:15 a.m.
We will resume our normal schedule on the weekend of May 9-10. Worship on the 2nd and 4th Saturdays of each month at 6 p.m. 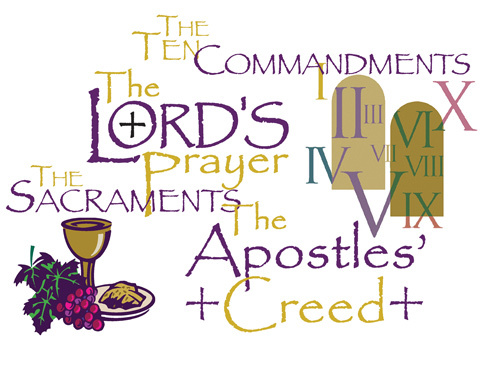 The worship service on May 3 – Confirmation Sunday – will be filled with joy and prayer as these young people formally say “yes” to God has first done for them in the Sacrament of Holy Baptism. Please keep these young people in prayer as they grow in their faith and service in Christ. These students are: Faith, Jed, Dana, Aaron, and Dylan. A school year of study of God’s Word. Included in this is a general survey of the story of Scripture with an emphasis on how it fits together. Our relationship with Jesus Christ is emphasized. A school year of study of Martin Luther’s Small Catechism, Theology and the Lutheran movement of Christianity. Our relationship with the people of God is emphasized. A Summer Camp experience at Lutherhill Camp near La Grange, TX.